I'm sure that my story is similar to many folks. 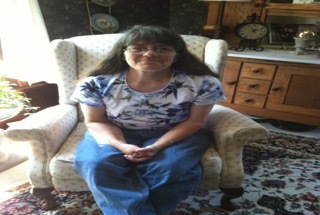 My sister, Nancy Adams, started losing weight at the end of 2011 for no good reason. My normally strong and funny sister couldn’t eat and went into a deep depression. She figured out that she had cancer before any of us wanted to admit it. Nancy fought small intestine cancer for 4 1/2 years. It wasn't a cancer that many people know about and there certainly aren't any walks or anything like that to support raising research money. I always felt so helpless - she was a pretty simple person and didn't want much in terms of material goods, but the Red Sox were always her favorite baseball team, even in the middle of NY State; and we did our best to make sure she was access to listening or watching her beloved Red Sox! It was our favorite topic of conversation. She died in August of 2016. Last year at this time (my birthday is in November), I was feeling at loose ends. I wasn't looking forward to my first birthday after losing her. We didn't talk a lot but we always did for our birthdays, and it was feeling pretty silent. She had a wicked sense of humor. But at the same time, I was looking forward to a couple of great weddings to come - my daughter and now son-in-law and my niece and her new husband. I needed to get back into some fitness routine for both the mental and physical pieces of my health but wasn't sure what to do. And then I went to my first Spin Class at the Charlestown Y! I met John Campbell – the Spin J for the Monday and Friday classes – and found out that he rode the "big" Pan-Mass Challenge in honor/memory of some friends of his that had dealt with cancer. And I found out that my friend, Ken Mostello was also riding the "big" Pan-Mass Challenge. I was so excited and proud to support both of them. I also decided to add the "big" PMC to my bucket list. And then I found out there was something that I could do a little sooner that fit in with my new found Spin fun - the PMC Winter Challenge! I think I might have been the first one to register for it that day! I am so stoked that it's at Fenway Park - Nancy would love it! And I feel like it is finally some way that I might make even more of a difference in this fight against cancer. So here it comes, I can’t wait to knock it out of the park for Nancy! Best wishes to all the riders and thanks to all of my support!